Jubilee Projects collapsing in different areas including Sigiri bridge, Budalangi. - Bana Kenya News, Real African Network Tubanane. 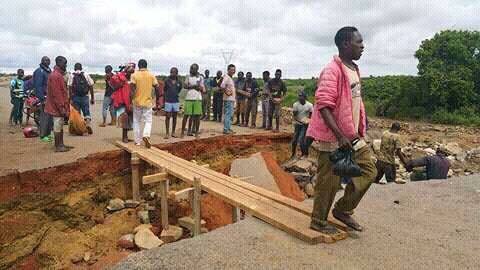 Home featured News Jubilee Projects collapsing in different areas including Sigiri bridge, Budalangi. 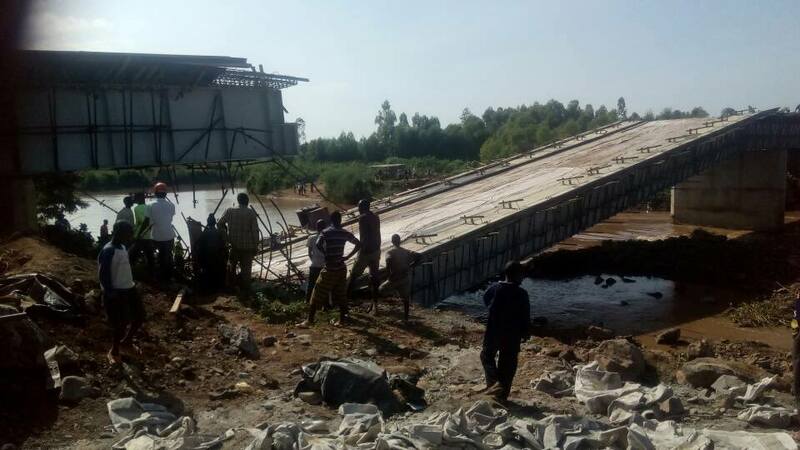 Jubilee Projects collapsing in different areas including Sigiri bridge, Budalangi. Sigiri Bridge, a Jubilee Government flagship project worth Sh1.2 billion has collapsed just two weeks after President Uhuru inspected and launched it in Budalangi. The Project that was launched by the president comes in after other Jubilee projects backfired miserably and collapsed. The same year, President Uhuru Kenyatta opened the Mtongwe ferry which later collapsed after the beams were hit by ocean waves. 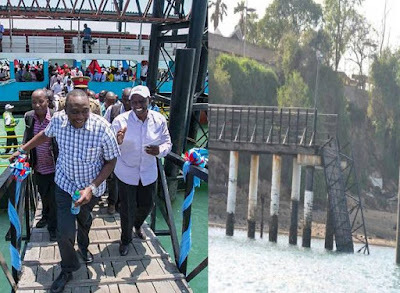 The Mtongwe ferry has stopped after the Government alleged saying that the ones who are using that channel to wait for the President to re-open the channel. 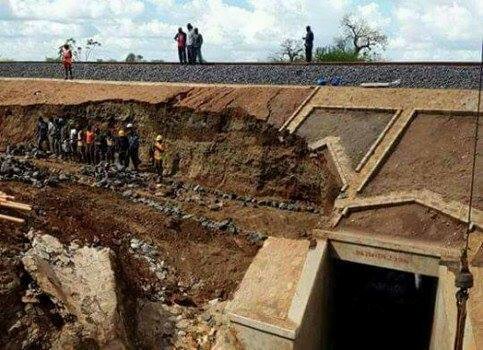 A section of Standard Gauge railway was washed away by floods in Makueni last year. The little rain washed away the SGR section, what will happen if the El-Nino type of rain comes again? The Mariakani-Bamba Road was launched by the President and after some weeks some sections of the road were washed away by rain. The people of the area were surprised to see the newly build road washed away leaving longtime build roads intact. The majority of Jubilee projects are not sustainable. The electricity supply to homes funded by World Bank connected closer to 900,000 households across the country. According to KPLC half of the meters connected to the households remain dormant and electricity cut off due to electricity bills. According to Mary Wekesa, a resident of Vihiga county, she said that the power connection was a good project but due to the high cost of living she was not able to raise the bills. "I wanted to look for food for children and other basic needs. Electricity is quite expensive as bulbs burn, need to be replaced, monthly bills exceeding Ksh 200 (Ksh 150 constant), need to buy paraffin for my cooking as electric appliances are too expensive e.t.c. I was not able to withstand the electricity bills anyway thanks for at least having seen electricity in my house." she said. Galana-Kulalu irrigation scheme has collapsed and buried billions of shillings on the ground. The project which was supervised constructed by a company from Israel got frustrated and some of the equipment used were carried away. It shows that government has failed in its mandate to provide quality services and infrastructure.